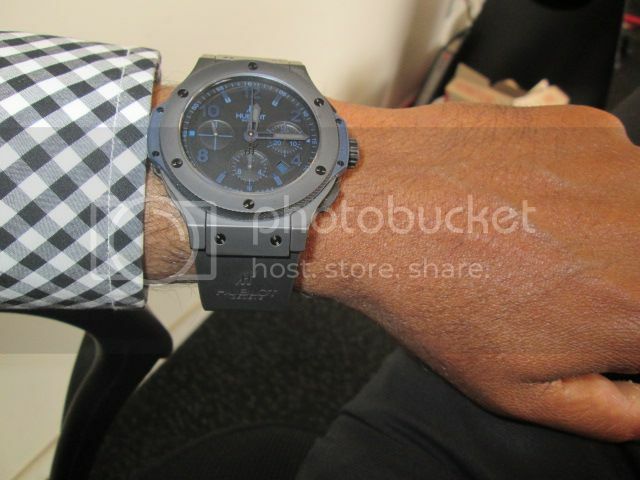 TimeZone : Hublot » No wrist time ??? I would love to replace the ceramic bezel with the new magic gold bezel - is this possible ? Looking at the maintenance website there is a special rubber for the matte ceramic available from the boutiques and as there are non in New Zealand does anyone know how i can get one? With regard to the Magic Gold bezel, unfortunately that is not possible. Producing Magic Gold is a complicated and timely process that yields limited quantities. As such, current production of Magic Gold is limited to new pieces. Also, Magic Gold components are manufactured for the Big Bang Unico models so a new bezel would not fit your Big Bang Classic. I've heard of this rubber for cleaning but have personally not seen it. I'll see if I can get more information for you.